The following represents an unofficial account of the significant items discussed and/or voted upon during the October 12, 2015 City Council Regular Meeting. The complete agenda packet is found here and a video of the meeting can be viewed here. Draft meeting minutes will most likely be posted at the city website as part of the October 2015 Regular Meeting Agenda packet. At the city manager’s request, the city auditors, Coulter and Justus gave a presentation on the finances of the renovation of the Melton Lake Marina Bathrooms. The report was 100% verbal, was based on a cursory review within their standard annual audit and essentially was a blessing on the procedures used by the city manager to finance the project. 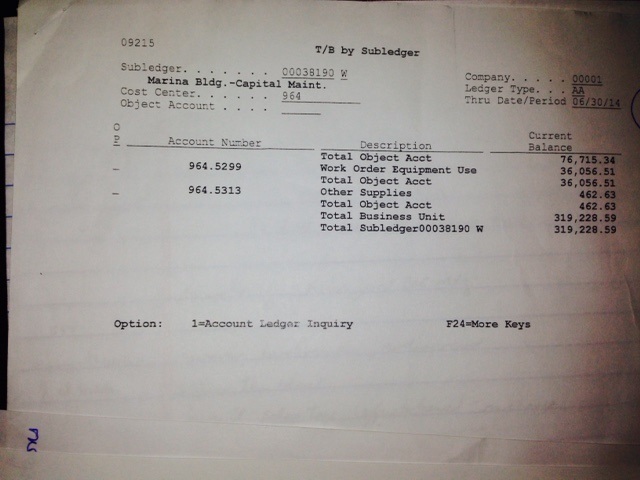 Per my questions and their answers, they did not actually review contracts nor does it appear that the examined receipts, purchase orders or other pertinent documentation that I’ve requested. They invited council to submit any questions for further review. Given that the city manager has refused for the past year to turn over any documentation affiliated with the project to me or anyone else, I posed a few questions. Rather than allow the auditors to work on providing answers, council member Hensley objected to spending any funds on the auditors. I agreed that it was unnecessary if the city manager would simply comply with open records law and produce the affiliated purchase orders, receipts, plans, permits, etc. Hensley argued that I was asking too much of the him and motioned to close the matter. The rest of council supported him by means of a formal vote (6-1 with my vote of “no”). b. Resolution confirming Pete Craven to serve on the Oak Ridge Railroad Authority through October 2018.
c. Waive of competitive bid and approve contract with Tyco SimplexGrinnell for repair of HVAC smoke alarms at the Central Services Complex damaged by lightning. 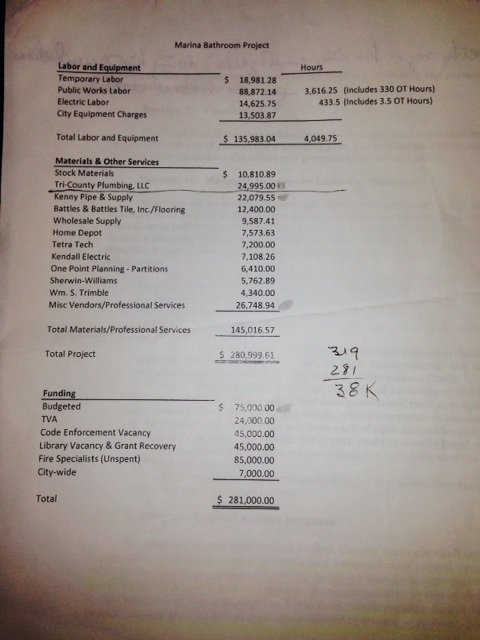 Contract amount is $31,686 with $25,842 to be reimbursed by TML. e. Contract award for fitness and nutrition training to the ORFD to Performance Training Inc for $34,000. 90% funded by AFG grant. d. Contract award to Service One for abatement and demolition of four city owned residential structures (101, 117, 157 Wade & 355 W Outer) for $82,000. Motion passed 6-1 with Baughn voting “no” I noted that three out of four of these structures were owned by the same company who also owns 50 other properties in town. I object to using tax payer funds to reward commercial entities for allowing their properties to fall into disrepair. In addition to the demolition costs, these properties were purchased by the city for over $120,000. a. Resolution to transfer six city owned properties (3 on Waddell Circle, 103 Bennett, 106 Pembroke & 223 Hillside) to the Oak Ridge Land Bank. Motion passed 6-1 with Baughn voting “no” As with the demolitions noted above, three of these properties were owned by a commercial entity who was paid roughly $30,000 per property using taxpayer funds. b. Resolution authorizing a change order to the contract with Wright Contracting for the windows replacement at the water treatment plant in the amount of $84,000. DOE will pay 53.5%. With this change, the project is still $115,4000 under the projected budget of $350,000. Motion passed unanimously. c. Resolution authorizing the purchase of personal protective equipment (bunker gear) for the firefighters for $46,500. Motion passed unanimously. d. Resolution accepting notice by the Chamber of Commerce who is refinancing a loan on its building. Motion passed 6-1 with Baughn voting “no” Given that the Chamber’s last request of council (to amend their lease stipulations) was disingenuous (read here), I find no basis to trust anything they present to council. I also remind the public that, in addition to the $175,000 of taxpayer monies they are allotted annually, the chamber of commerce pays zero property taxes on their building and pays less than $800 per year to the city to reside on city-owned land located in a prime location. I noted that the project, which missed many completion deadlines including the last one of Sept 15th, was still not complete. I asked the city manager if we had a new deadline and he responded that we did not. Will you be following up with a formal sunshine law request for the documents in question for the Marina Bathroom Project issues? Yes, with the help of Anne Garcia Garland.